Once or twice in a rare Blue Moon, opportunity sometimes comes along and hits you on the head—or in my case, I was hit on the head—by a juvenile sperm whale. 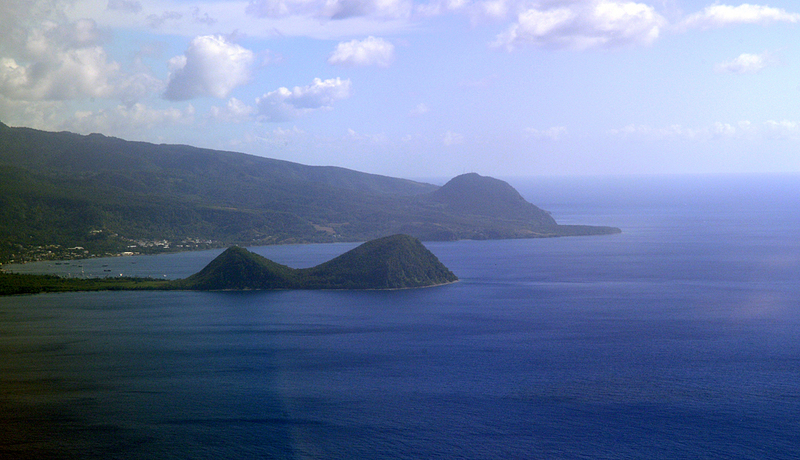 Dominica is the youngest of the Caribbean islands and is flanked by Guadeloupe to the north and Martinique to the south, which are both French colonies. 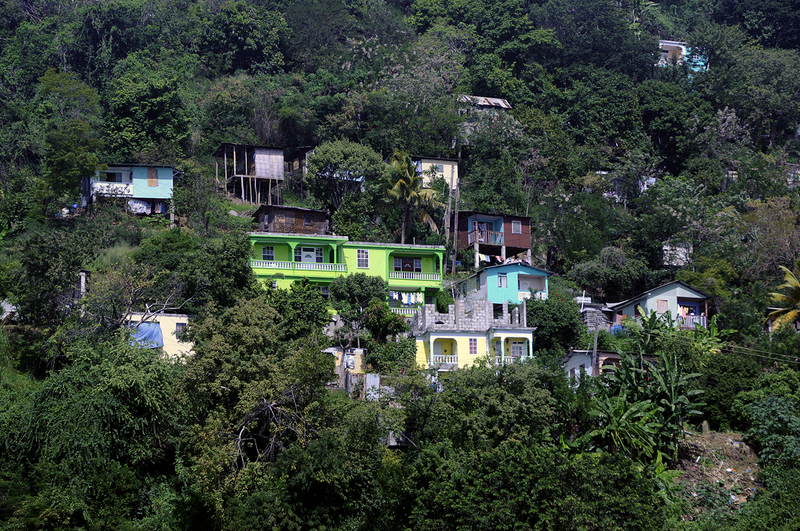 Inevitably, many of the locals speak a derivative of a French, Carib and West African creole known as Kwéyòl. Ancestors of the original Carib Indians, the Kalinago still live by traditional fishing and farming methods and are rather distinctive in appearance, resembling South American Amazon tribes and are much shorter in stature. The Kalinago name for the island is Wai’tukubuli. The local beer is called Kubuli! Extremely mountainous in aspect, two of the peaks are over 1,300 metres (4,500ft). I can honestly say that the topography is incredible with fantastic rain-forest fauna and flora all found within cloud-topped peaks, dramatic gorges, caverns, waterfalls and hidden lakes. There are many hot sulphur springs and one of the dive sites is known as “Champagne” due to the continuous streams of bubbles coming up through the reef. The underwater reefs also resemble more tropical dive sites due to the rarity of curious fish species, thousands of colourful crinoids, black coral forests and superb colourful sponges. 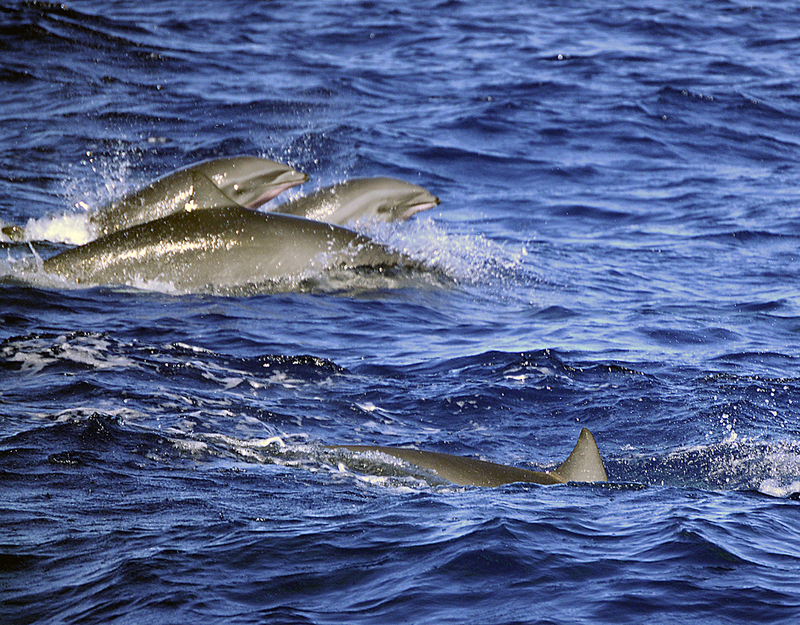 Struggling along approximately five to ten miles off the western (Caribbean) coast of Dominica, our goal was to catalogue as many cetacean species that use these deep waters as breeding and feeding grounds on their annual migration routes between our hemispheres. 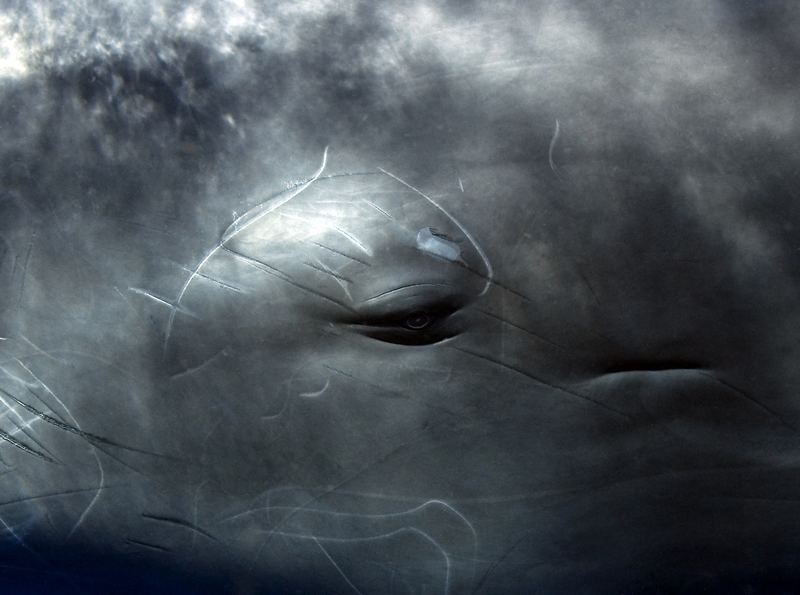 Should the opportunity arise, we were allowed, under permit, to enter the water, and under strict guidelines, to take photographic records for identification purposes of the various species that we would encounter. Distinctive scars, coloration and missing body parts are the most obvious identifiers. 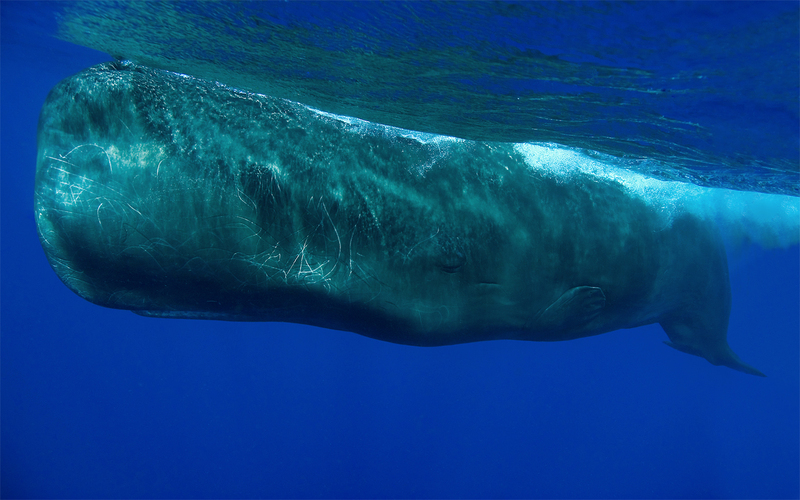 Sperm whales (Physeter macrocephalus) were at the top of our list, as they are one of the more regular species encountered and several identified individuals have been sighted recurring over a number of years. However, any encounter with any species is not only random, it is always extremely welcome, and we were soon treated to various aerobatic displays by spinner dolphins, bottlenose dolphins, pantropical dolphins, Fraser’s dolphins and spotted dolphins riding the bow wave of our research boat. A Bryde’s whale even swam directly under us before we could react and get in the water. In the same super family but curiously given a ‘whale’ name in their description, there were pilot whales, false killer whales and pygmy sperm whales. We did not encounter any orca (unfortunately also known as killer whales), but they are also known to inhabit these coastal waters, attracted by the large number of juveniles and calves of the larger whales. 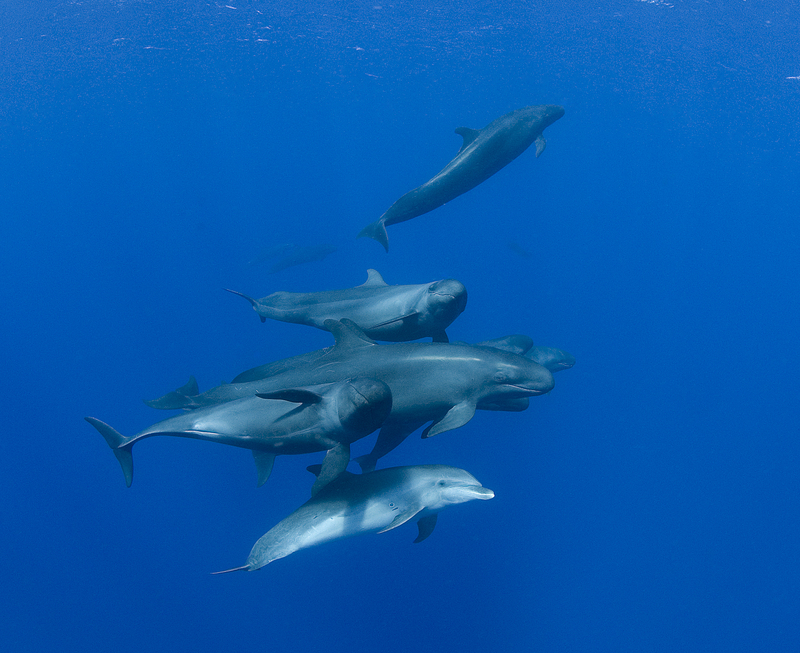 Speaking of which, whilst orca are members of the dolphin super family, so are false killer whales. Like orca, false killer whales are also known to prey on other dolphins and sperm whales, however they look more like pilot whales, or round-headed dolphins, than anything nearly resembling an orca, yet they have very similar behaviours. I have renamed them in my personal logbook as killer dolphins!